Dragon Ball Super Manga is at very climax of the Tournament of Power as Goku and vegeta find themselves facing up against Strongest Universe 11’s Jiren which includes Goku Using Ultra Instinct that manga has changed a bit how Goku reaches Mastered Ultra Instinct also explained more how Goku actually passage the form in the latest chapter. The latest chapter of the series where we saw Goku reached the Ultra Instinct state after Android 17 abandon himself in the hopes of deafet Jiren and we can see the result of it in Latest chapter where Goku is able to dodge quite a few of Jiren’s attacks that Jiren was frustrated and says that Goku is looking relaxed while he dodges jiren’s moves. Goku described that he is no exactly relaxed because fighting with Jiren is not easy to defeat that all done to get rid of unnecessary emotions where Goku puts it his hearts as claim as jiren responses with the great amount of anger and power and pushes Goku to the edge. 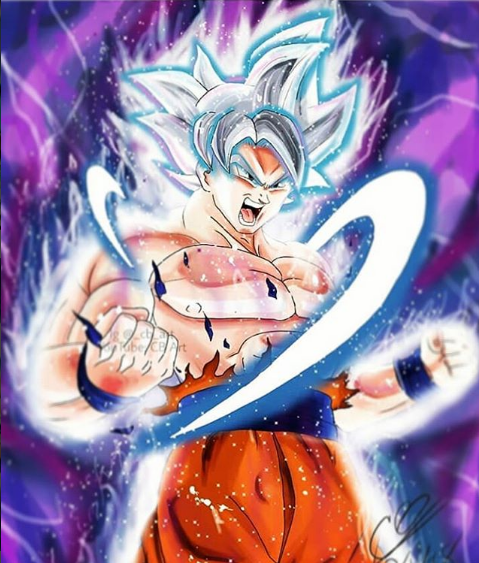 Unfortunately with the even after reaching Mastered Ultra Instinct Goku hits out and revert back to see his base form that figured out the mentality that needs to successfully reach the state he untrained in the form and therefore he was unable to keep up his stamina to hold the form for too long.Goku's was state of mind during Ultra Instinct in the same as it is in the anime, as it's real power comes from when Goku pushes out every other anxiety, but the speed in which he masters it makes it seem like he mastered the "calmness" of his mind in a much quicker time than in the series.